View cart “Boy Mask(from Burial at Thebes)” has been added to your cart. Creon Greek Theater Mask: Creon is the king of Corinth and the father of Glauce. He dies trying to save Glauce from the poisoned dress given to her by Medea. The same poison kills him in the effort. The mask of Creon is one of strength, pride, anguish and love. This Greek theater mask could be used for another king or hero with the same traits. 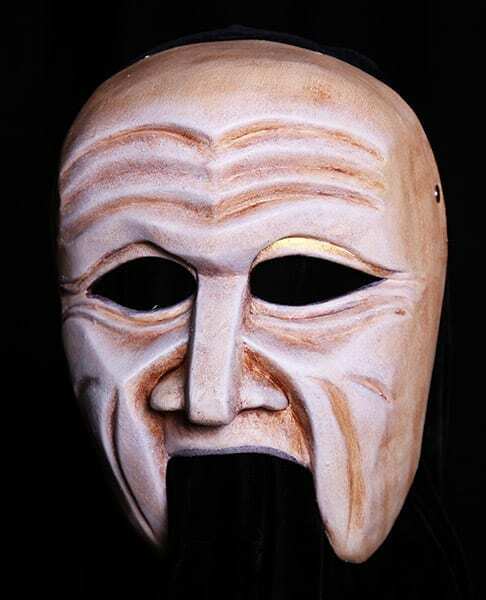 The Greek Theater Mask of Creon is made of neoprene, is very durable and an excellent addition as a mask for schools, colleges and university training programs as well as professional production.